Spanish Rookie Marc Marquez has become the youngest ever MotoGP World Champion after finishing 3rd in the final round of the season at the Grand Prix of Valencia overnight. 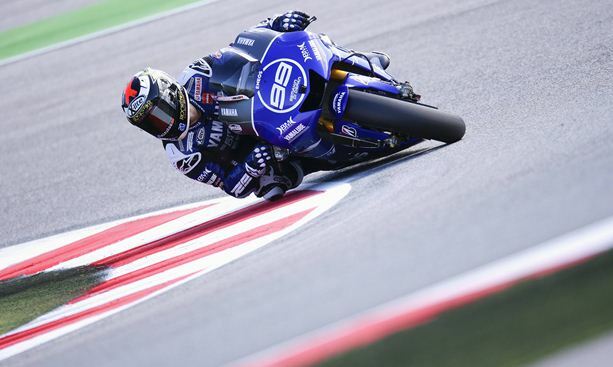 Defending Champion Jorge Lorenzo was the race winner of the day on his factory Yamaha but 20-year-old Marquez only had to finish in the top four to become the first rider to win the championship in his debut-season since Kenny Roberts in 1978. Fellow Repsol Honda team-mate Dani Pedrosa finished second, but was already out of the title contention coming into the round. Lorenzo’s factory Yamaha team-mate and seven-times World Champion, Valentino Rossi, finished fourth. The new World Champion finished just four points ahead of Lorenzo in the overall standings, which is the tightest of margins since the 1992 series. The season got off to a great start for the Rookie when he became the youngest winner of a premier class race at the Circuit of the Americas. He then went on the break more records by winning the most races as a Rookie in one season, with six and went on to dominate becoming the youngest rider to win four races back-to-back. This entry was posted in Motor Sport and tagged Dani Pedrosa, Grand Prix motorcycle racing, Jorge Lorenzo, Marc Márquez, Marquez, Repsol Honda, Valentino Rossi on November 11, 2013 by bradeveleigh. Sebastian Vettel joins Juan Manuel Fangio and Michael Schumacher to become Formula One’s youngest four-time champion after an outstanding win on Sunday at the Indian Grand Prix. The German pitted early to change his soft tyres but managed to scream past the field to cross the line 29.8 seconds in front of Mercedes’ Nico Rosberg and Romain Grosjean in the Lotus third. ‘‘Unbelievable day…‘We did it! Yes! 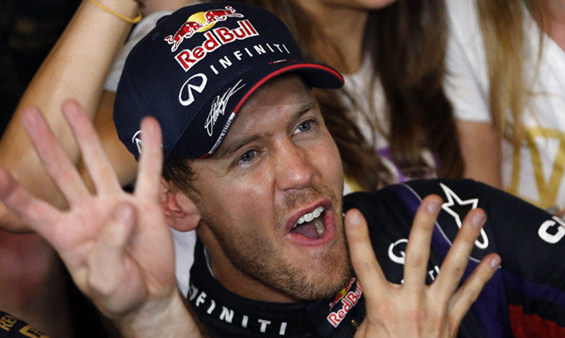 Yes!’’ Vettel said over the team radio. ‘‘You’ve done it in style…‘Brilliant drive – you join the greats.’’ Red Bull team principal Christian Horner responded back. Vettel celebrated in true style adding some tyre smoke to the already thick smog hanging over the circuit, spinning the car and putting on a show of ‘donuts’ for the fans. He then got out and stood up on the car before crouching to kiss the front in a gesture of worship. He threw his gloves into the grandstand before embracing Horner and designer Adrian Newey. ‘‘First of all I want to thank the crowd for an unbelievable reception. I am speechless. I spent ages thinking what to say; there is so much you want to say at a time like that. ‘‘It is a pleasure to jump in the car and go out and drive for the guys and give it all I have. The car was phenomenal today and has been phenomenal all season, to be honest. Vettel was appreciative of the support and applause from the Indian crowd particularly after being heckled at his wins in Belgium, Italy and Singapore. ‘‘It has been hard for me in particular. To be booed when I have not done anything wrong was hard, but I think I answered the things on the track which I am very pleased about. Despite Mark Webber’s shock retirement due to an issue with the alternator, Red Bull also won their fourth consecutive the Constructors’ title. Fernando Alonso was the the only man who could put Vettel’s celebrations on hold needing to finish in the top two but all hopes disappeared at the start when he made contact with the rear of Webber’s Red Bull and then also made contact with Jenson Button’s McLaren. The Spaniard, had to pit for a new front wing but re-joined the race in 20th place and finished out of point contention in 11th. Ferrari’s Felipe Massa finished fourth and Sergio Perez picked up his best result of the season finishing in fifth in the McLaren. Mercedes’ Lewis Hamilton was sixth with Kimi Raikkonen in seventh, who struggled with overheating brakes for much of the race. Both Paul Di Resta and Adrian Sutil were eighth and ninth for Force India. Australian Daniel Ricciardo, handed Toro Rosso the final point. This entry was posted in Motor Sport on October 28, 2013 by karenunchained. 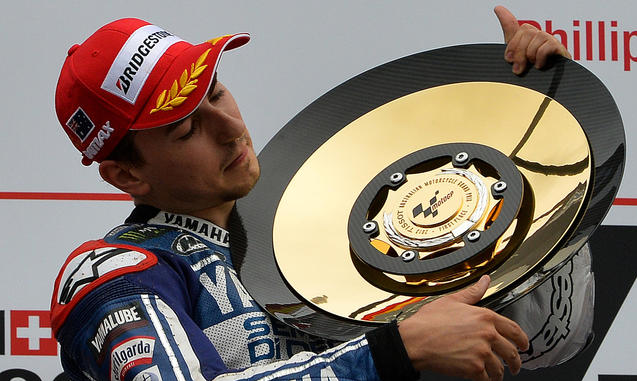 Jorge Lorenzo has won the 2013 Australian MotoGP at Phillip Island is controversial fashion as Championship leader Marc Marquez was disqualified. The factory Yamaha rider is now trailing Marquez by just 18 points with 2 rounds to go. Marquez was Black-Flagged for failing to execute a mandatory pit stop on laps 9 or 10. The race was cut to just 19 laps from the scheduled 26 for safety reasons by Bridgestone warning that tyre degradation from the new tarmac Phillip Island circuit would endanger the riders. The MotoGP race officials set a bike change rule that was to be taken by lap 10 of the race, Marquez instead road his Repsol Honda for an extra lap, which incurred a Black-Flag and the end of his race resulting in zero points for the round. Lorenzo took full advantage of Marquez’s absence and collected the win along with the precious 25 Championship points to blow the title race wide open again. 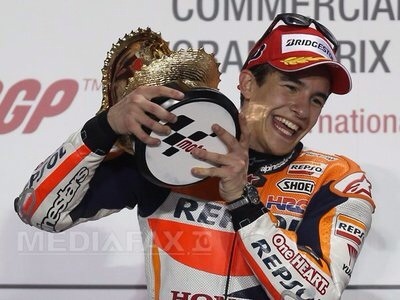 Marquez’s Repsol Honda teammate Dani Pedrosa was second with Yamaha’s Valentino Rossi completing the podium in third place. This entry was posted in Motor Sport and tagged Brad Eveleigh, Bridgestone, Dani Pedrosa, Grand Prix motorcycle racing, Jorge Lorenzo, Marc Márquez, Phillip Island Grand Prix Circuit, Repsol Honda, Valentino Rossi, Yamaha on October 20, 2013 by bradeveleigh.